(JTA) – The Jewish owner of a gun shop in Colorado has offered to give rabbis semi-automatic rifles for free following the murder of 11 worshippers at the Tree of Life synagogue in Pittsburgh. 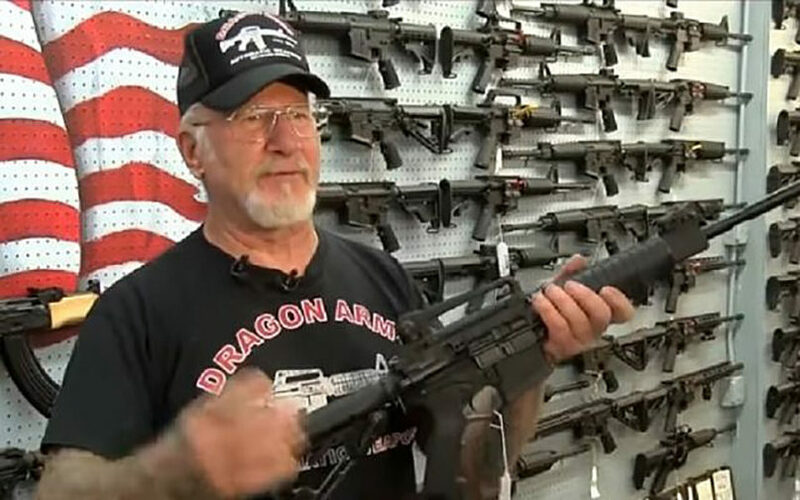 Mel Bernstein, who owns Dragon Arms near Colorado Springs, made the offer in an item aired Oct. 31 on KOAA-TV’s News5. During the shooting Saturday, “people sitting in the synagogue, they were sitting ducks,” and “nobody’s stopping him,” Bernstein said of the shooter. “You have to have the tool to fight back, and this is the tool, and I’m donating these to the rabbis.” Each gun that Bernstein hopes to give the local religious leaders is valued at an estimated $650, and the store was clear that each rabbi would have to pass a background check to take possession of the weapon. Rabbi Jeff Ader of Temple Beit Torah in Colorado Springs told KOAA that he thought the offer was very generous and thoughtful, and that he’d have to think about it. Ader also talked to him about giving some people their concealed weapons training. Scott Levin of the Colorado ADL told News5 that a rabbi with a gun causes image issues and a disruption. Levin also said that he believes there should be panic buttons installed and that he’s fine with armed security personnel, but that armed clergy sends the wrong message.